Welcome to the future. 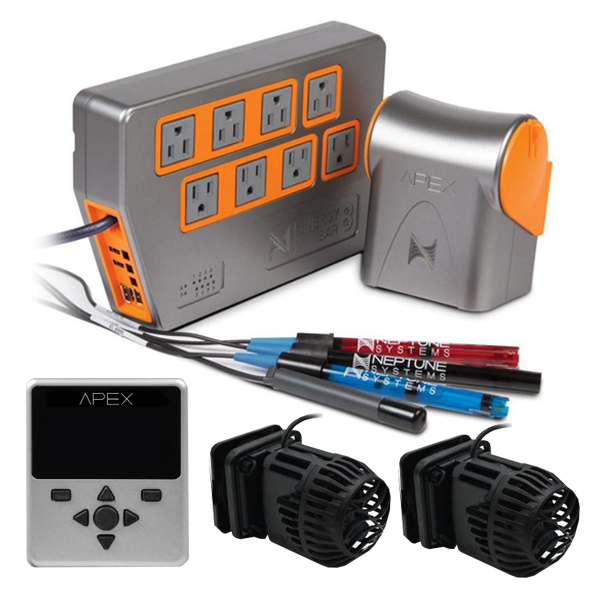 The New Apex controller system has WIFI built in, includes a redesigned Energy Bar 832 with eight 120V AC outlets, includes an internal 100W 24VDC power supply as well. That power supply feeds three built-in 1LINK ports as well as two 24VDC accessory ports. Each individual outlet has power monitoring and there are individual LED indicators for each outlet. The New Apex also comes with a PM2 built in so you can natively monitor salinity without having to buy any extra modules or probes. The New WIFI Apex is backward compatible with all your current Apex Gear, All Modules, Energy Bars, Probes, DOS Pumps, WAV Pumps, etc.